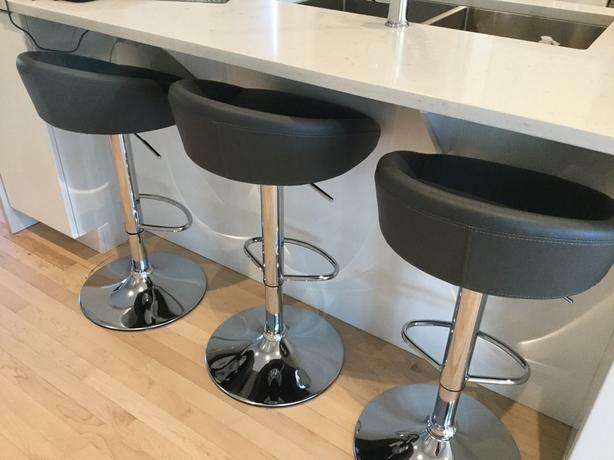 Stools purchased for staging just a few months ago and used very lightly. Stools are very trendy looking and comfortable to sit on. As you can see base and centre are steel while the seats are a grey vinyl. The adjustable handle which controls the height of the stool is located just under the seat (as displayed in picture). Located in smoke free home.